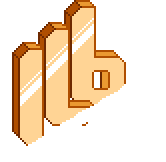 Does ILB have a Minecraft or Garry's Mod server. Hi I'm having trouble getting on the server? Can I create a base in single player and then go back to it in multiplayer? Is there an estimated date of when Worldbound will be back online? Tutorial: How to find out what to post?